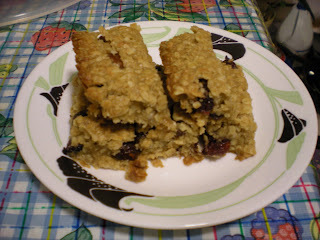 Here is a recipe for homemade granola bars with a touch of Maple Syrup. 1. 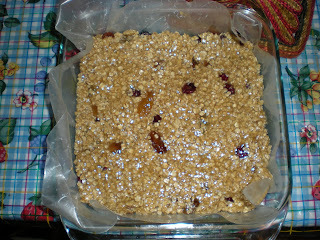 Slightly oil a 8 inch square baking pan and line bottom with wax paper. Oil wax paper. Preheat oven to 350F. 2. 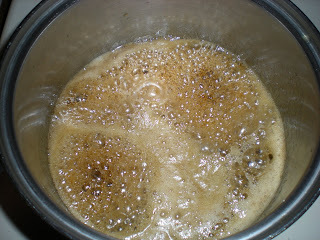 Combine margarine, syrup and brown sugar in a small saucepan and melt gently over low heat until foaming. 3. 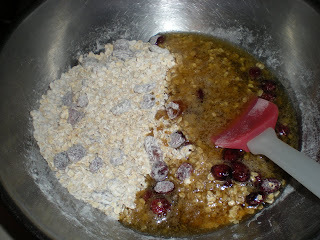 In a large bowl, stir together oats, flour and dried fruits. Add liquid mixture and blend well. 4. Press mixture into lined pan and bake for 25 minutes. 5. Let it cool for 5 mins. Cut into small rectangles.